Also, make sure to check out the end of sale times for each game next to the respective download link. At the time of writing (December 9th), some of these titles only have a few hours left in their "freebie" period, so it's advisable to download anything that you like fast. Without further ado, let's see what's on the list! We're kicking things off with a very interesting title. 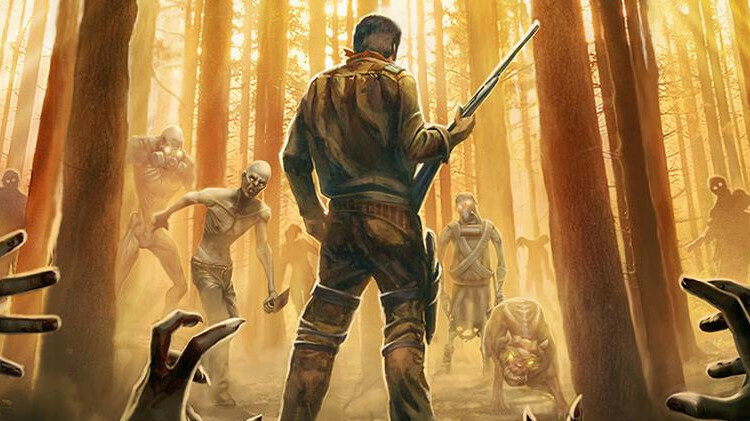 Live or Die features a third-person camera perspective and building mode that's similar to The Sims, the scavenging and crafting mechanics of Minecraft, and a brutal survival element in which you have to use your resources to destroy the hordes of zombies that are attacking you day and night. Aside from building up your home base to endure the ever-stronger zombie waves, there's also an exploration element to the game - you can search abandoned bunkers, labs, and research facilities. You also have to interact with other survivors throughout the wasteland. You can cooperate with some, but others will compete with you for valuable resources. You can also choose to risk it and raid the shelters of other survivors in order to get their valuable loot. If you're a fan of physics puzzlers and chain reactions, Laserbreak 2 is a title that you simply have to play. The concept is straightforward - move the laser turret in a position that allows it to destroy the "X" cube and/or coins present in a given level. This is simple enough for the first few stages, but, as always, things get more complicated from there on. There are a lot of levels and physical objects that you can interact with, and you will surely love the game if you have a soft spot for puzzlers. Mind Games is a great collection of games based in part on principles derived from cognitive tasks to help you practice different mental skills. 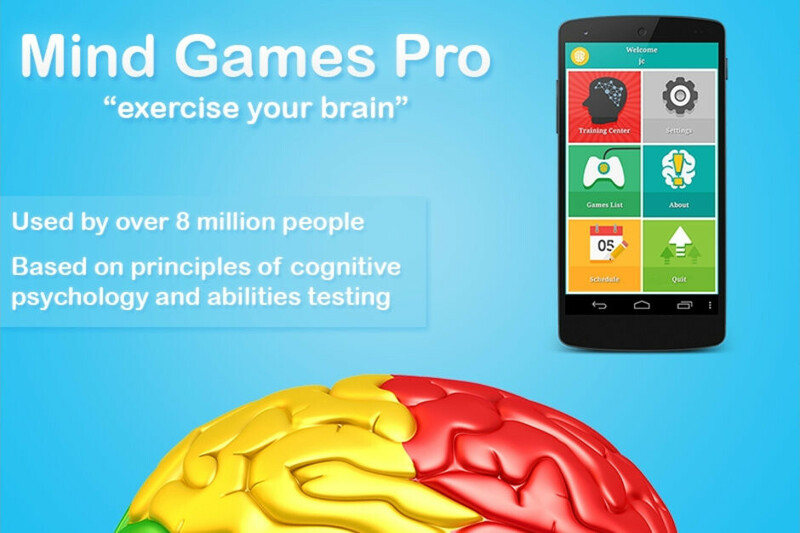 This app includes all of Mindware’s brain exercising games. All games include your score history and graphs of your progress. The main app shows a summary of your best games and today’s scores on all games. Using some principles of standardized testing, your scores are also converted to a comparison scale so that you can see where you need work and excel. The Training Center selects games for you to play in order to maximize your progress and enjoyment. Mind Games incorporates mindfulness exercises. Previous research has shown that mindfulness may provide improvements in focus, working memory, and mental flexibility for some. Research indicates that there may also be emotional benefits of mindfulness. The app provides instruction on how to use mindfulness during game play and in your life. Little Stars 2.0 is a very interesting minimalistic real-time space strategy game. Your goal is quite simple: conquer all the enemy star systems. These stars and star system are represented as ball nodes that are connected through various pathways. You can conquer and capture a star by sending your fleet of ships there. If an enemy controls a given star node, you can take control by sending more of your ships than your enemy. The campaign features over 162 offline levels, and you can also create your custom stages for increased replayability. If you want to pass every level with the maximum amount of points, you also have to complete the time and efficiency challenges. CELL 13 is a "physics puzzle" title, featuring 13 big levels and over 65 unique puzzles. If you've ever got the chance to play Portal 2, this game feels a lot like it, although the action plays out from a different perspective. Use crates, balls, glass, elevators, laser bridges, and portals to navigate through the levels. Individually, these objects may not be useful, but when used together with your creativity, you may find a solution to escape the cells. The goal of Cubes is is to form or complete the item or "picture" of each level with moving cubes. The first levels of the game are basic so you can see how the mechanics work. Then, things get more difficult. Overall, this title requires patience, as oftentimes you'll have to think how to arrange your array of cubes to perfectly match the objective. As such, you won't find a time limit present in Cubes. Playstire should offer only free apps, android can’t pay premium anyway. You try so hard...but you fail even harder. Keep it up...you entertain us lol. Mobile gaming is so behind considering the specs in smartphones now days. Not everyone want Ultra High graphic and battery draining games on their phone, some just want a nice looking, power-efficient, casual gaming just to kill sometime while waiting, or just wasting some free time.